Saraki also urged Nigerians to demand accountability from the government, adding that the private sector can even drive the government. He said that Nigeria cannot achieve its full potential if government does not engage technocrats in driving the development process. “I believe there is a misconception by the private sector. We all believe that the responsibility is for those of us in government. That is true. But I believe that you can drive your government. You can make your government do what is necessary to create the right business environment. “This is a great country with great potential. But the reason why we’ll never achieve our potential is that there is a mismatch. This mismatch is that the calibre and capacity of those in government cannot match those in the private sector,” he said. 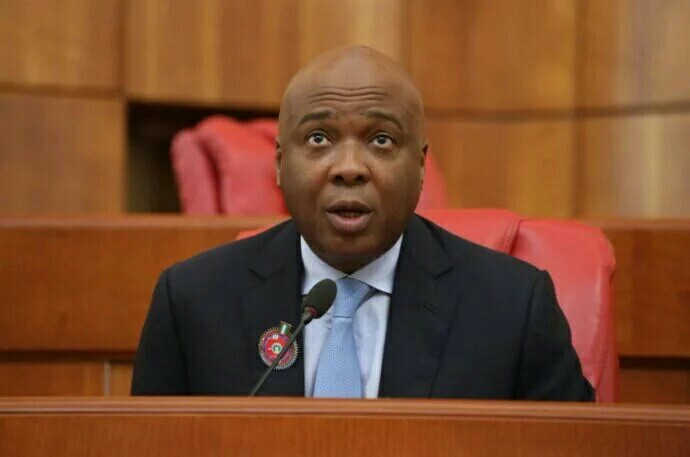 Apart from the private sector’s input in governance, Saraki said government alone cannot fund infrastructure deficit even if it has to borrow. According to him, there is a mismatch between what politicians can offer and what skilled experts can bring to governance. Both, he said, must work together. Saraki said it behooves the private sector to push the government to create an enabling environment for businesses to thrive. Lagos State governor Akinwunmi Ambode, represented by the Attorney-General Adeniji Kazeem, urged lawyers to help develop laws that will enhance the ease of doing business. “Legal practice must support legislation that will support law and order and improve ease of doing business,” he said.